I get asked all the time by intended parents, “How much does a surrogacy journey cost?” This can be tricky to answer as every journey is unique. Costs depend on many factors and some are contingent on how your journey progresses, so you can’t fully know the total cost until your surrogacy journey is complete. Having said that, it is definitely possible and important for intended parents thinking about getting started, to develop a budget for their surrogacy journey and to understand the likely range of final costs. In my experience, there are at least 26 line items in a surrogacy budget that intended parents should bear in mind. Knowing the A to Z of Surrogacy Costs checklist can be a starting point to help intended parents plan the financial side of their surrogacy journey. It can also help intended parents when comparing between different services providers. I break-down my A to Z listing into three areas: surrogacy, egg donation and IVF. Costs related to the surrogacy should cover everything necessary for intended parents to find and match with a surrogate; manage their relationship with their surrogate; compensate and/or reimburse their surrogate as agreed; cover the medical costs of the pregnancy, delivery and newborn care; ensure against key risks for their surrogate; address the surrogacy agreement and legal processes to establish the intended parents’ parental rights as well as the nationality and immigration status of their child(ren) in cases of international surrogacy; and cover a surrogate’s travel to the intended parents’ IVF clinic. Some surrogacy agencies include more of these required services in their agency fees, whereas others may charge intended parents for these items separately. I include the cost associated with a surrogate’s medical screening and approval by the intended parents’ IVF physician among the IVF costs. Surrogacy Agency Fee: For those that use a surrogacy agency there will be a fee to pay for the professional services of finding, non-medical screening and matching with a surrogate as well as helping intended parents manage that relationship and their overall journey. Agencies will structure their fees differently so intended parents should understand what is included in an agency’s base fee and what may be charged as separate items. Sometimes it is necessary to change surrogates during a journey, and intended parents should understand whether they may have additional agency fees if a re-match is required. Surrogate Non-Medical Screening: There is a suite of non-medical assessments that should be undertaken to ensure that a potential surrogate, and in some cases her partner, is well-screened. This can include criminal background checks, credit and financial checks, home visits, in-person interviews, and psychological and social screening (such as the MMPI test). Surrogate Journey Support: Most surrogacy agencies will provide psychological and social support for a surrogate during her journey. Escrow: Intended parents will deposit funds in an escrow or trust account to cover the expected costs of their surrogacy journey. This account may be administered by the surrogacy agency, a law firm or other third-party. Surrogate Base Compensation: In cases of compensated surrogacy, the costs intended parents will pay will be detailed in the surrogacy agreement. These will typically include compensation per month during pregnancy; a monthly reimbursement for expenses; an amount for maternity clothes; amounts at key stages in the journey such as the start of medications and transfer; and a provision for post-birth bedrest. The levels of these costs can depend on where a surrogate lives, whether she has been a surrogate before and whether or not she is carrying a twin pregnancy. Surrogate Contingent Compensation: In addition to base compensations, there may be additional payments to a surrogate in certain situations. This can include if a surrogate is required for medical reasons to go on bed rest during a pregnancy; if she undergoes an invasive procedure or has a cesarean delivery; suffers a loss of organs as a result of the surrogacy; or agrees to pump breastmilk. Surrogate Medical Complications Insurance: This is a policy that is designed to cover the cost of any medical complications that may arise for the surrogate as a result of the IVF procedure. This type of insurance policy is required each time a surrogate commences a cycle of IVF medications. Surrogate Life Insurance: Is a policy that provides financial protection for the surrogate’s family or another beneficiary should that be required. Pregnancy Medical Costs and Insurance: This refers to the medical costs for monitoring the surrogate’s pregnancy and delivery. Typically medical insurance is involved in some form. Intended parents need to budget for the cost of this insurance and the medical costs that will not be covered by the insurance. They also need to understand any limitations with the insurance they are using for covering these costs as well as their financial risk if there are complications during the pregnancy and/or delivery. Newborn Medical Costs and Insurance: This refers to the medical costs that will be incurred to care for the intended parents’ child(ren) from the moment of birth. These costs are distinct from the pregnancy and delivery. 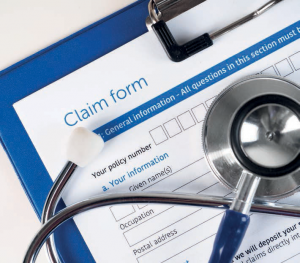 Medical insurance is often involved in some form. This can be a particularly complicated cost item. Intended parent should focus on this item so they can budget for the cost of any insurance involved and the medical costs that will not be covered by the insurance; as well as understand any limitations with the insurance they are using and their financial risk if their child(ren) require extended time in hospital post birth. Surrogacy Agreement: There will be a legal agreement between the surrogate and the intended parents detailing the terms of their arrangement. Intended parents pay the costs of independent legal representation for themselves and their surrogate to prepare and negotiate this agreement. Surrogate’s Home Legal Proceedings: There will be legal proceedings, wherever the surrogate gives birth, required to establish the intended parents’ parental rights. This may happen either before or after the birth. Intended parents should budget for the filing fees as well as the costs of independent legal representation for themselves and their surrogate. Intended Parents’ Home Legal Proceedings: Additional legal proceedings to establish their parental rights, nationality, and immigration status for their child(ren) may be required wherever the intended parents are from or plan to live. Similarly, intended parents should budget for these filing fees as well as the costs of independent legal representation for themselves and their surrogate, if required. Surrogate Travel: If a surrogate does not live in close proximity to the intended parents’ IVF clinic, she will need to travel to the IVF clinic for treatment. This may include more than one trip depending on the clinic’s protocols and whether a surrogate needs to return to the clinic for repeat transfer attempts. 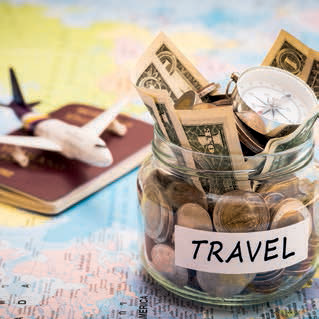 Typically there are provisions for a surrogate to travel with someone to support her and costs include all transportation, accommodation and a per diem for meals. Intended Parents Travel: It’s likely that intended parents’ will be traveling as part of their journey, certainly in an international surrogacy. They will need to determine the number of times they plan to travel and budget for an extended stay before and following the birth of their child(ren). Newborn Travel: If the intended parents are traveling for their surrogacy journey, then their child(ren) will travel home with them. So the costs to secure passport(s) and any other necessary travel documents need to be budgeted. Intended parents who need the help of an egg donor must also budget for these costs. These should cover everything necessary for them to find and match with an egg donor; compensate and/or reimburse their egg donor as agreed; insure against key risks for their egg donor; address the egg donation agreement; and cover an egg donor’s travel to the intended parents’ IVF clinic. I include the cost associated with an egg donor’s medical screening and approval by the intended parents’ IVF physician among the IVF costs. Egg Donor Agency Fee: For those that use an egg donor agency there will be a fee to pay for the professional services of finding, non-medical screening, and matching with an egg donor. Egg Donor Non-Medical Screening: There is suite of non-medical assessments that should be undertaken to ensure that an egg donor is well-screened. This can include criminal background checks, credit and financial checks, in-person interviews, psychological and social screening (such as the MMPI test). Sometimes certain of these items are charged to intended parents separately, whereas some egg donor agencies may include this as part of their agency fee. Egg Donor Compensation: In cases of compensated egg donation, the costs the intended parents will pay will be detailed in the egg donation agreement. The compensation level can depend on the egg program intended parents are using, the donor they select to work with, and whether or not an egg donor has donated previously. Egg Donor Medical Complications Insurance: This is a policy that is designed to cover the cost of any medical complications that may arise for the egg donor as a result of the IVF procedure. Egg Donation Agreement: In some cases a simple consent form or standard form legal agreement is used. In other cases it is necessary to have a customised egg donation agreement, and in these cases intended parents pay the costs of independent legal representation for themselves and their egg donor. Egg Donor Travel: If an egg donor does not live in close proximity to the intended parents’ IVF clinic, then she will need to travel to the IVF clinic for treatment. Egg donors typically need to be in close proximity to the IVF clinic for a period of time prior to the egg retrieval due to the monitoring required. Costs will typically include all transportation, accommodation and a per diem for meals. 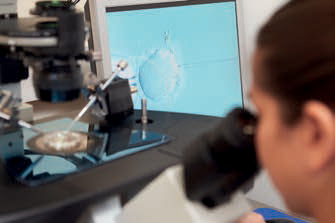 Intended parents’ IVF budget should cover all the costs related to the creation of embryos and transfer to and monitoring of their surrogate until about 10 weeks of pregnancy. After this period a surrogate’s pregnancy is considered to be established and the costs for the remainder of the pregnancy and delivery will be part of the Pregnancy Medical Costs and Insurance item described above. IVF Clinic Fees: Many IVF clinics bundle their fees and may offer varying degrees of risk protection if intended parents are not successful on their first attempt. Intended parents should understand which of the followi ng elements are included in a bundled fee or are charged separately: intended parents’ screening; medications; egg retrieval; fertilisation (standard or ICSI); embryo transfer; medical screening and approval of the egg donor and surrogate; monitoring of the egg donor and surrogate; genetic screening; and storage (sperm, embryos). Medical Screening and Approval: Intended parents’ IVF physician will need to medically screen and approve their egg donor and surrogate. Each IVF physician will have their own criteria and if these assessments are not included in their IVF fees then intended parents will need to budget for them separately. Genetic Screening: It is increasingly common to perform genetic screening in IVF processes. 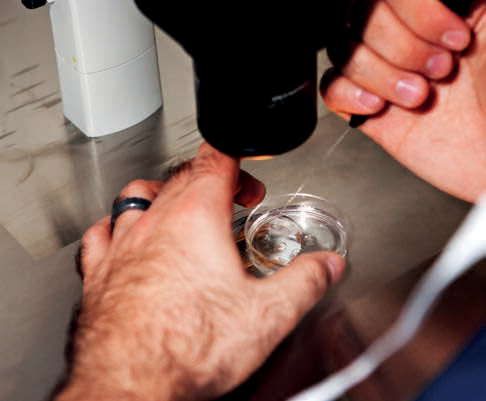 If intended parents elect to have their embryos assessed with preimplantation genetic screening (PGS) prior to transfer, then this may be an additional cost. Local Monitoring: If the intended parents’ surrogate does not live in close proximity to their IVF clinic, they she will need to be monitored (involving regular blood tests and ultrasound scans) wherever she lives before and after the embryo transfer. In some situations this may also be required for part of their egg donor’s treatment if she does not live local to their IVF clinic. A surrogacy journey is one of the most significant life events for intended parents. Carefully budgeting for the total costs and understanding how to minimize the financial risks of a surrogacy journey will help intended parents plan for a smoother journey and make the choices that are right for their situation. Craig is a regular contributor to Fertility Road on third-party reproduction. Look for his upcoming articles on egg donation and surrogacy in future issues of Fertility Road or contact him at oregonreproductivemedicine.com.